Here's my custom progen and two of her prettiest kids! Given that their dad is green - blue - green range, I think they had quite the amazing RNG... Even if Amethyst's tert is Forest. Ping me to get my attention in the forums, please! [url=http://flightrising.com/main.php?dragon=5461684] [img]http://flightrising.com/rendern/350/54617/5461684_350.png[/img] [/url] My boy Darion! His lovely whites lost their crispness when I added genes so he's stayed basic. My boy Darion! His lovely whites lost their crispness when I added genes so he's stayed basic. aaand just because of it I don't have much all-basic dragons since I've gened most of them, heh.. BUT I do have my handsome Dyllan! he's a gen2 from my first ever nest of my progens, and I just adore him and his cute outfit. :'D I've had him exactly like this ever since I started FR! 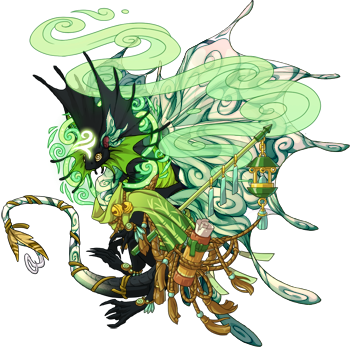 I was planning on gene'ing him but no gene really fits him perfectly and he looks smashing all basic, and basic dragons are very underrated imo. [url=http://flightrising.com/main.php?dragon=29620961] [img]http://flightrising.com/rendern/350/296210/29620961_350.png[/img] [/url] I have this basic boi. I have this basic boi. [url=http://flightrising.com/main.php?dragon=37964321] [img]http://flightrising.com/rendern/350/379644/37964321_350.png[/img] [/url] White Tiger Byakko - Snow Daimyo from Flaming Land. Leader of my Lair. His snow heritage makes him honourable and analytical, but Flamebirth place burn in his soul desire for proof himself of power and srtenght. Maybe Byakko isn't physical imressive but his spirit and mind makes him dangerous as enemy. White Tiger Byakko - Snow Daimyo from Flaming Land. Leader of my Lair. His snow heritage makes him honourable and analytical, but Flamebirth place burn in his soul desire for proof himself of power and srtenght. Maybe Byakko isn't physical imressive but his spirit and mind makes him dangerous as enemy. The Twins here are from my progens' first nest, and they will never be gened, nor get more apparel: they are Basic and Proud. Melantha is daughter of a friend's progens, and she will never be gened or get more apparel, either.